On Sunday May 6th 2018 Tydavnet held its first Country Festival with Open-air Music, song and dance and plenty more besides and the party went on till after midnight. The Main Street was closed off and the crowds poured in with young and not-so-young enjoying the entertainment. DJ Darren kept the air alive and the main act - All Folk'd up' certainly proved their popularity with the response they received from the audience. At the first attempt the festival was a huge success and no doubt there will be demands for a re-run next year. Well done to the organising committee and all the hands that helped in one way or another to make it a success. 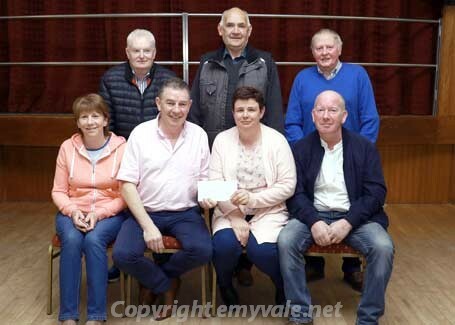 On Monday night May 14th the committee gathered in Tydavnet Community Centre to present funds to three organisation. 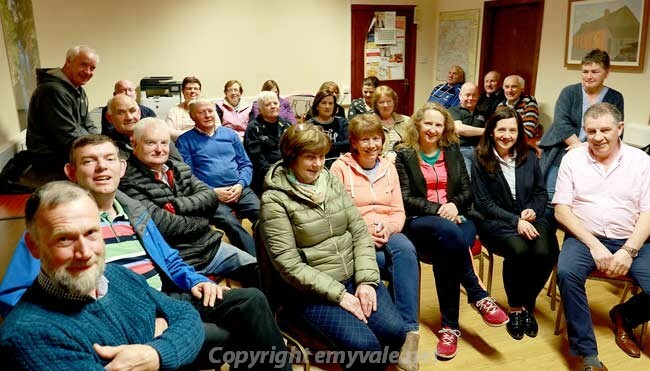 Chairperson, Brendan McCrudden, summarised the event and stated that the Festival was run by the Community to the Community and that the Community was going to benefit from the event. Brendan said that the event ran smoothly helped by the good weather and the great work of all involved and much work ws carried out in the background and behind the scenes. He thanked the Committee and all the volunteers who turned out on the day and helped with the Clean-up afterwards led by Pascal McCarra. He thanked the Residents for their cooperation and support with special mention for Bridget Mohan for allowing the stage at the front of her house; The Publicans and Sliabh Beagh Hotel were thanked for their contribution and Paul Connolly for the stage; Niamh Skinnader for publicity; Seamus McKenna for overseeing the power supply and Stephen Treanor for the signage and public safety work; DJ Darren and All Folk'd Up for the music and entertainment; Monaghan County Council for their great help and support; and all the people who supported the event. 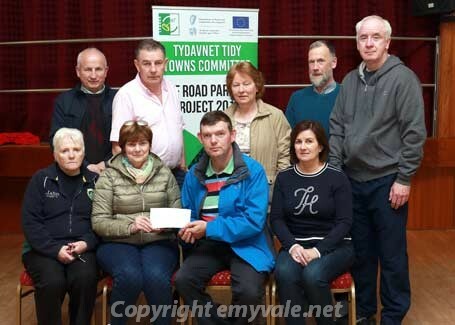 He then called on the representatives of the Three recipient organisations to come forward to receive their cheques and these included - Tydavnet Tidy Towns Car park Development committee which received €4,000; Tydavnet National school Parents' Association getting €500 and €500 to the Millennium Club for the Elderly. 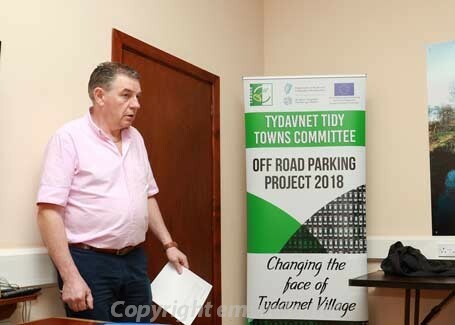 Tidy Town Car Park representatives led by Gerard Sherlock. 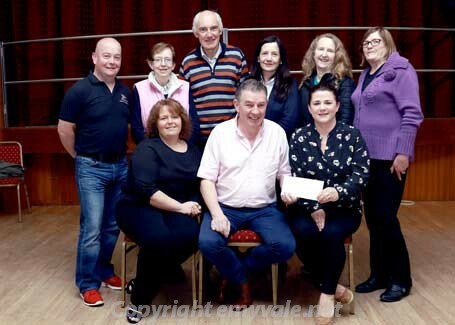 Martina and Brendan Sherry accpet the cheque for the Millennium Club.